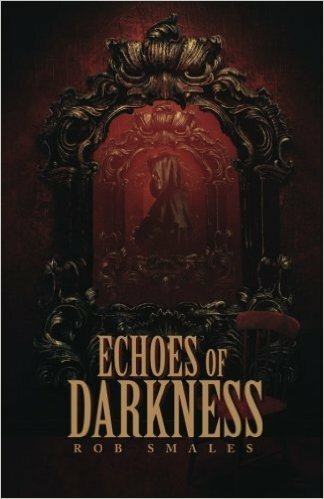 This book of dark short stories isn’t for the faint of heart, or those who want to sleep with the lights out. The collection is a mix of stories that pull you in and bring you on journeys you didn’t know you wanted to be on. Author Rob Smales does a great job of creating worlds with few words – and those few words bring you into worlds ranging from light gray to black. A lot of paranormal and supernatural creatures -- that don’t believe in happily ever after – will have you leaving the lights on. My heart went out to the boy in “Death of a Boy” during his journey. Smales certainly ratcheted things up at every opportunity. “A Night at the Show” caught me off guard – I loved it. I loved how “Wendigo” pulled me in and wouldn’t let go. The point of view is quite effective in suspending my disbelief. I even felt the cold. One of the shortest stories in the book is “Those Little Bastards” and it’s a favorite because, well, if I tell you why it’ll give away the tale. That’s a difficult part of reviewing short stories – I can’t say much as I don’t want to give away any of the stories. I loved going into each tale not knowing anything about it. No story disappointed. Smales has fun taking some conventional tales and adding a twist – it’s the twist that makes the story so savory and memorable. Smales is the author of Dead of Winter, which won the Superior Achievement in Dark Fiction Award from Firbolg Publishing's Gothic Library in 2014. His short stories have been published in two dozen anthologies and magazines. His story "Photo Finish" was nominated for a Pushcart Prize and won the Preditors & Editors' Readers Choice Award for Best Horror Short Story of 2012. His story "A Night at the Show" received an honorable mention on Ellen Datlow's list of the Best Horror of 2014, and was also nominated as best short story by the eFestival of Words in 2015. 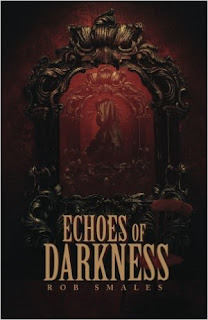 I read Echoes of Darkness in bite-sized chunks, one story per evening for two weeks. I could have read more some nights, but I prefer having the characters stick with me for a little bit before rushing onto the next story and a new cast. As a fan of dark fiction, I give this two thumbs up, 5 stars, and call it a highly recommended read for those not afraid to dabble a bit on the dark side. I’m on my way to find more Smales stories to read.